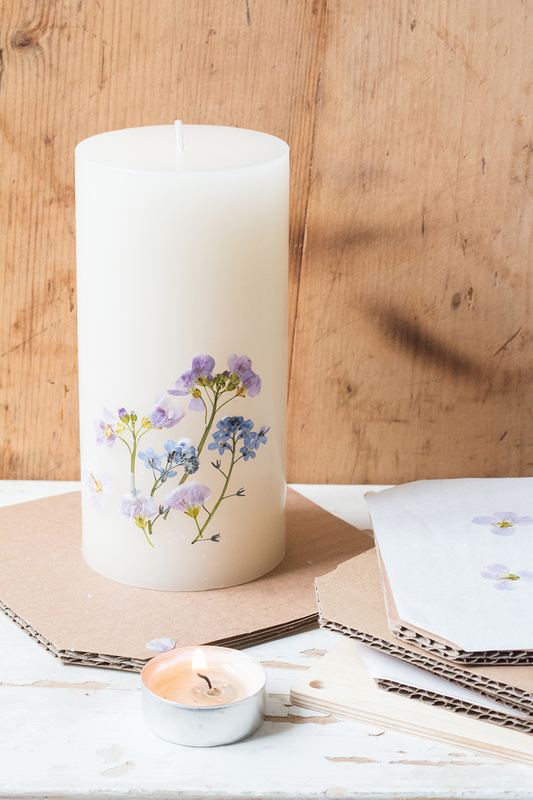 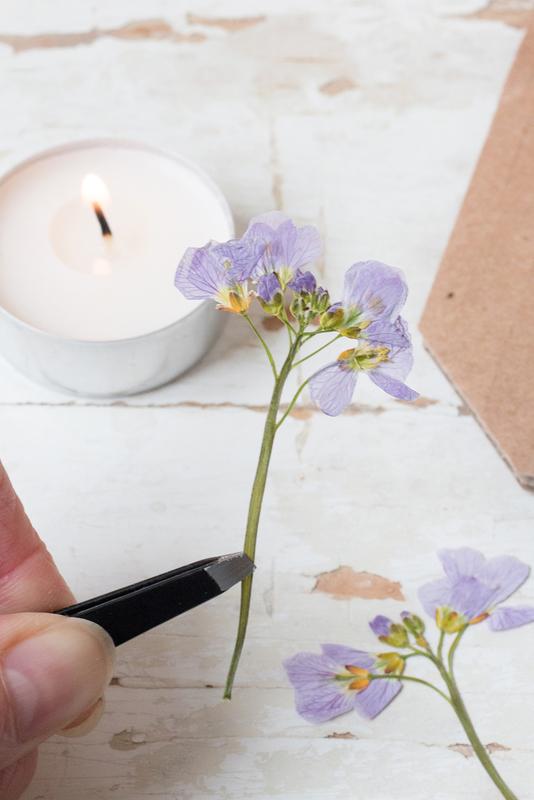 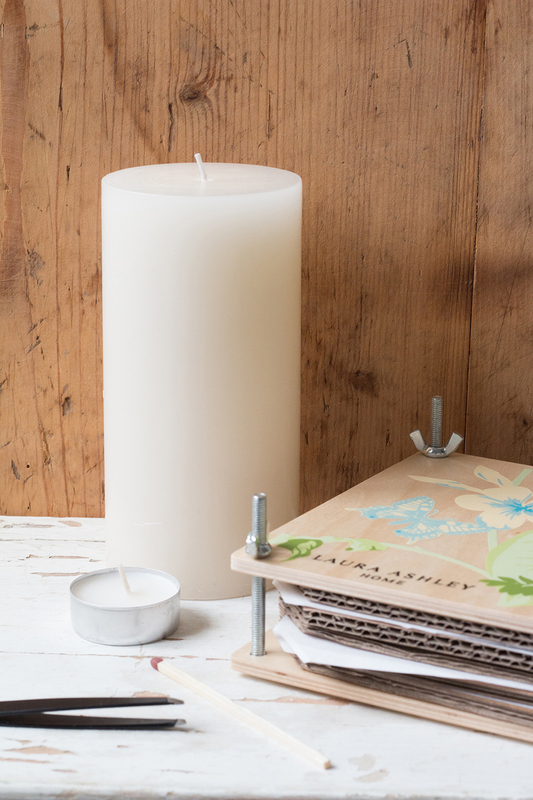 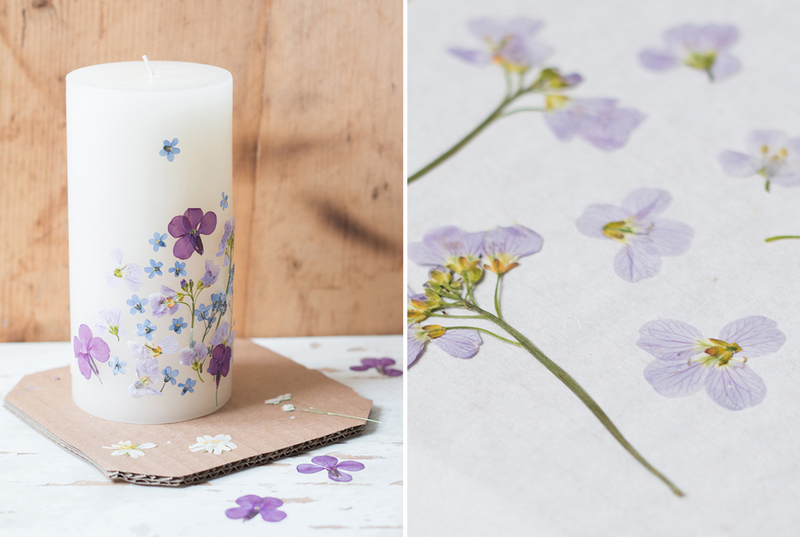 Last week I spent a sunny afternoon picking a few wild flowers from the hedgerow whilst out walking, I brought them home and pressed them using my Laura Ashley flower press. 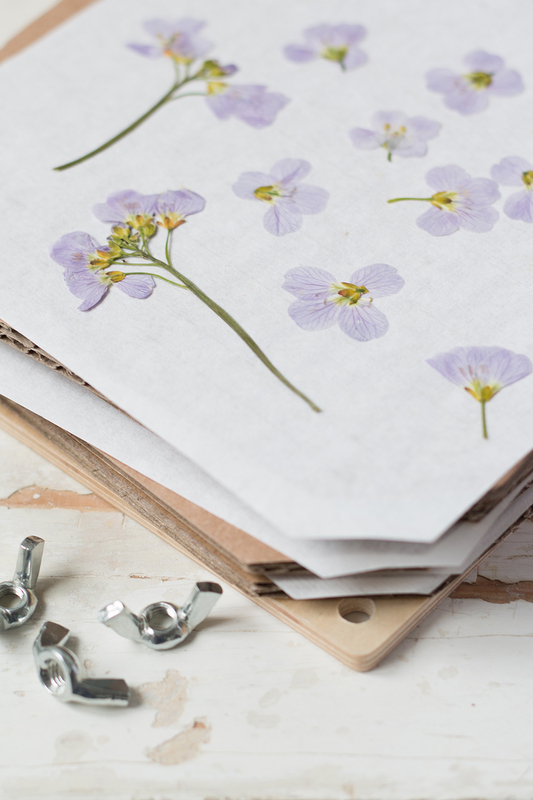 Between each layer of parchment paper I laid out the petals in different positions in order to get a variety of different shapes before tightening up the butterfly screws and waiting a week before revealing the little gems pressed inside. 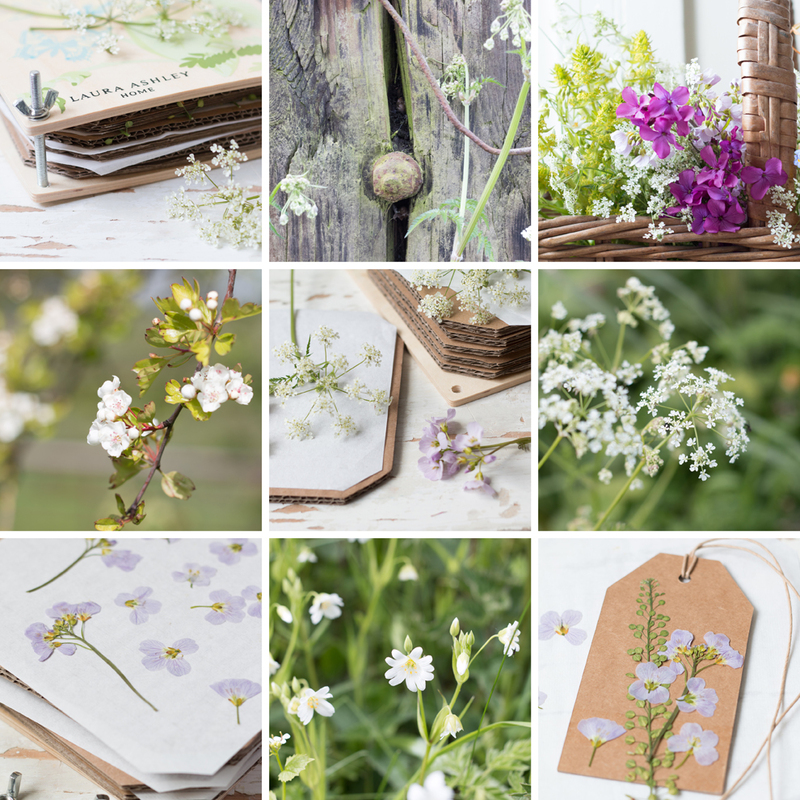 I was thrilled with the result, the wild flowers I chose worked really well. 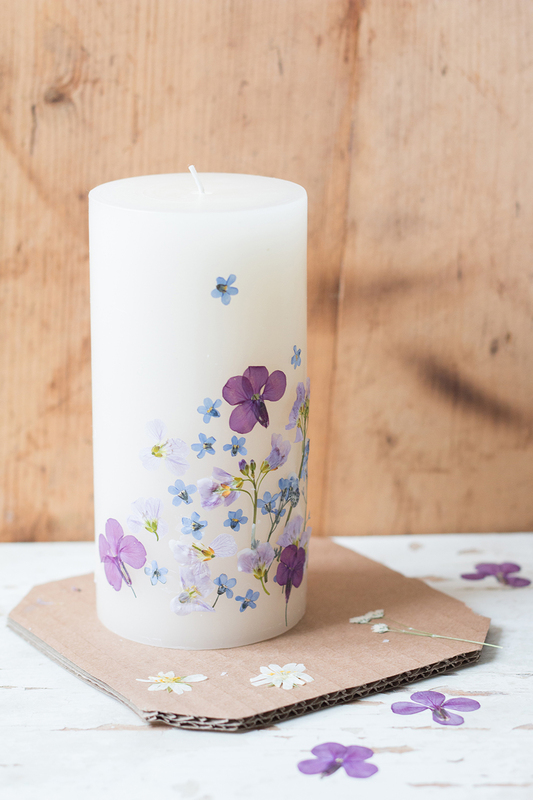 I decided the petals would look lovely arranged on a pillar candle as a gift!